Description: Born to a family of respected violin makers, Keith Bearden became one of the leading American bow makers of the 20th century. Bearden also became a well known violin dealer and the National Secretary of the Violin and Bow Maker’s Association. 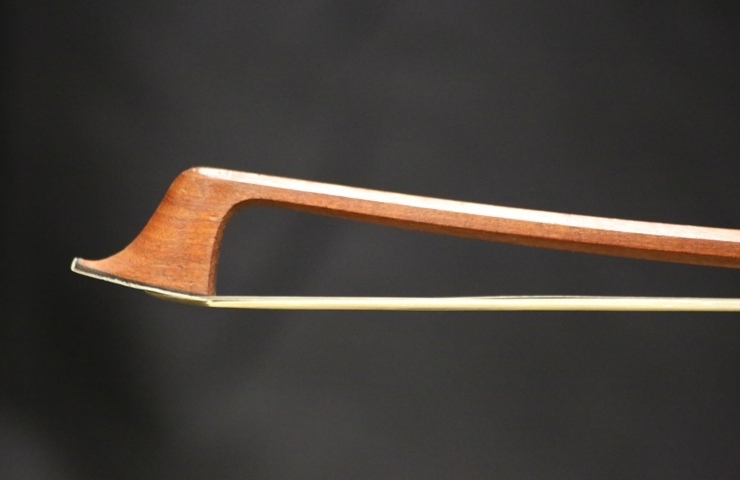 This particular bow remains in great condition but due to its light weight properties, it would better suit a chamber music or baroque style cellist. Weight 75.4 cm.